Normally, we would write a review in time for the launch, but due to AMD's wisdom to not only bring the release date forwards by a few days and to also not seed us with hardware until Sunday evening, we have simply not had enough hours in the day to run all of our benchmarks. 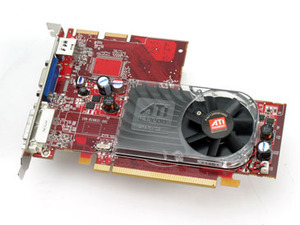 The cards in these series' make up the mid-range and entry-level portions of the ATI Radeon HD 2000 family and offer all of the features found in the Radeon HD 2900 XT, with performance obviously cut down to match the price point. Interestingly, AMD has opted not to go after Nvidia's GeForce 8600 GTS with a single chip solution on the pricing front and has instead targeted Nvidia's GeForce 8600 GT with its ATI Radeon HD 2600 XT. There will be two versions of this card though - one with GDDR4 memory, and one with GDDR3 memory. The latter is obviously designed to hit a lower price point but the top end version should be around £90 (inc VAT) in the UK. Looking around bit-tech's shopping engine, the cheapest GeForce 8600 GTS we could find is below £118, which is in a different pricing bracket to AMD's fastest single chip mid-range part. We say single chip because at Computex, a number of AMD's partners showed off dual RV630XT-based graphics cards and AMD expects these to be a very compelling buy against the GeForce 8600 GTS from a performance perspective, but it's not going to win any awards for form factor, as it's almost as big as Sapphire's Radeon X1950 Pro Dual. The GDDR3 version should be about £75 (inc VAT), while the cheapest GeForce 8600 GT we could find was £80 (inc VAT) on Scan so we'd say that the HD 2600 XT GDDR3 version is the competition for stock-clocked GeForce 8600 GT cards. The memory clocks on the Radeon HD 2600 XT will cover quite a large range; from 1400MHz to 2200MHz in fact, while the core clock will be locked at 800MHz. AMD explains that this gives its partners the chance to choose their own clock speeds and memory configurations in order to hit various price points. This is obviously where the GDDR3 version of the HD 2600 XT comes in, as the reference card we have uses GDDR4 memory. We've been told that the Radeon HD 2600 Pro will come in at prices starting from as little as £60 (inc VAT), which is pretty incredible and isn't much more than the cost of a standard GeForce 8500 GT. The core clock for this card is locked to 600MHz, while the memory can range from 800MHz to 1000MHz using either GDDR2 or GDDR3 DRAM chips. 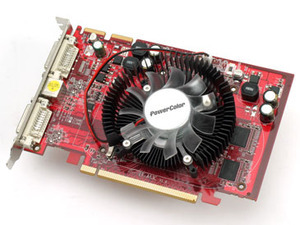 RV630 is the chip behind the HD 2600-series and comes with 120 stream processors that are split into 24 five-way superscalar shader processors (the same configuration as R600). Each of these shader processors can handle up to six independent instructions (five mathematical and one flow control) from the chip's Ultra Threaded Dispatch processor. The chip also features eight independent TMUs, four ROPs, the fully fledged version of the programmable tessellation unit found in R600, but disappointingly it has a 128-bit memory interface. The final aspects of RV630 that are worth mentioning here are the fact that the GPU is manufactured on TSMC's 65nm process and features an impressive 390 million transistors. At the entry-level AMD is introducing the Radeon HD 2400 series which, like the HD 2600 series, features two parts - the XT and the Pro. The former will be clocked at 700MHz core, while the memory can range between 1400MHz to 1600MHz. On the other hand, the latter will have an engine clock of 525MHz and the memory can range between 800MHz to 1000MHz. 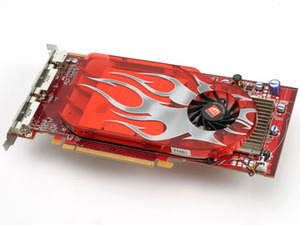 The HD 2400-series is based on the RV610 GPU which, like RV630, is fabbed on TSMC's 65nm process. It features 180 million transistors and only a 64-bit memory interface. There are just 40 stream processors and four independent TMUs in RV610. The cache has also been cut down too and there is no L2 texture cache like there is in RV630. AMD has kept the same number of ROPs in RV610 though, if that's any consolation. In terms of pricing, the HD 2400 XT will retail for around £45-50 including VAT, while the HD 2400 Pro will retail for around £35-40. On the whole, AMD's pricing looks to be pretty aggressive, but we've still got to evaluate the performance of the cards across a range of games. Availability isn't expected for another couple of weeks though, and before the cards get onto the market, we'll have our review published. 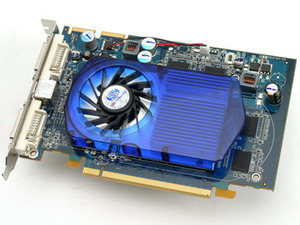 Are you looking to buy a mid-range DirectX 10 card? Tell us which way you're leaning in our forums.